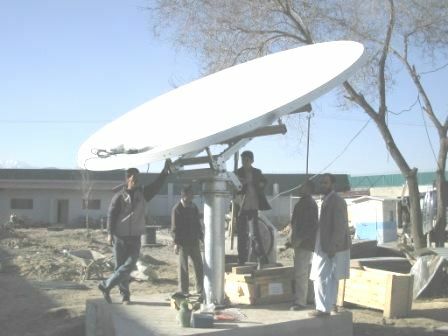 Contact: Afghan ICT Solution Co. Ltd. Ashraf Watt, Haji Yaqob Squar, Shahr-e-Now, Kabul. 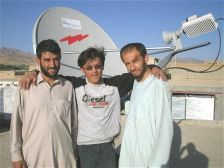 Afghan ICT Solution is based in Kabul with Dari, Pashto and English speaking staff. They offer a full range of IT services, PCs, servers, web site design, web hosting, routers, infrastructure cabling - optical fibre, ethernet, wireless access points, free space optics links etc. 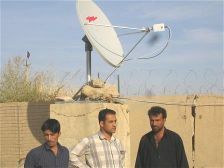 Despite all the troubles in the area there is a real need for satellite communications in Afghanistan, so I am putting this information here. I hope it helps make things better. Their friendly staff are qualified experts and technicians who can provide, install, supply support, register and maintain VSAT and satellite internet (IP) dishes for your home or business. 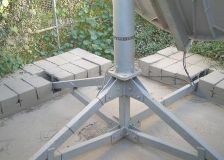 Some examples of both small and large VSAT antenna installations are shown in the images to the right on this page. I've included the pictures of the landscapes since I rather like them. The valley view in the lower left corner reminds me of my walking holidays in The Lake District, UK. Internet mobile and the smallest portable mobile internet solutions such as Thuraya data solution & Inmarsat regional B-GAN systems are also available. Ask also about radio, telephone and multimedia studio services. Aina (French NGO) Networking and IT Support, Kabul University Networking, Acbar Service and Maintenance, Limak Construction Company Maintenance, MSI Maintenance. 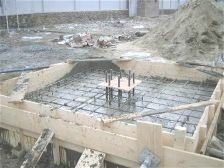 Kabul Medical University, Kabul Agriculture University, Kabul Polytechnic University, Draya Design Agency, Zafar constructions company, Aryana Film, Barmak Film, Afghan Film. PADCO/Ae-Com Afghanistan, Air Arabia Afghanistan Internet, Dunya Travels Internet, Fortune Aviation Internet, ETC (Western Union), Aryan Travels, Lemonde Guest Houses, Emirates Travel. 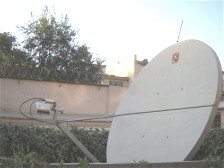 Afghan ICT Solution Co. Ltd. I have written the above page based on information kindly provided by Afghan ICT Solution Co. Ltd., who own the copyright to the images.